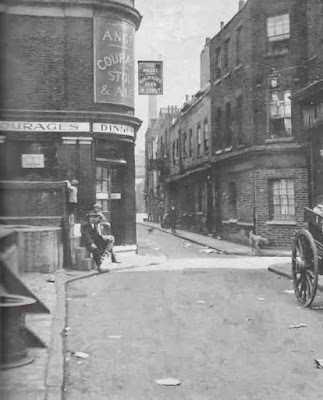 Via Twitter, a 1930s snapshot, of The Angel. 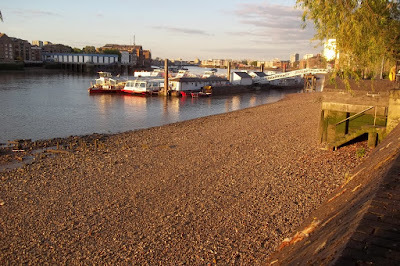 Fast forward to 2015 and everything else has disappeared except the pub itself which continues to offer the best riverside views in London from it s upper room, a view that will be enjoyed by the men of the parish on Friday 17th July when we have our next men's event - a meal and a pint at the Angel, with a talk by the excellent Paul Brown of City Hope Church in Bermondsey. 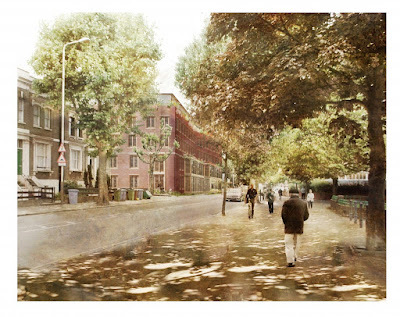 'Challenged by the huge needs of the inner city; Paul moved with his family to Bermondsey, central London. After a number of years in the building industry, mostly as a bricklayer, he joined the staff of City Hope Church. 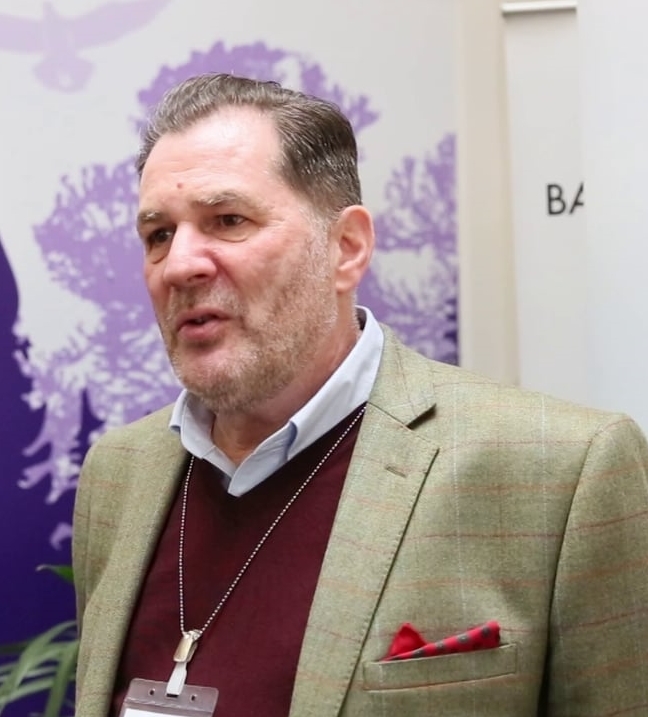 Paul has a passion for the working classes to find justice, dignity, love and acceptance through the good news of Jesus. Over the years he has helped develop successful outreach to inner city families as well as gaining credibility in his local community where he is a governor of a local primary school and a trustee of the renowned Fisher Amateur Boxing Club. 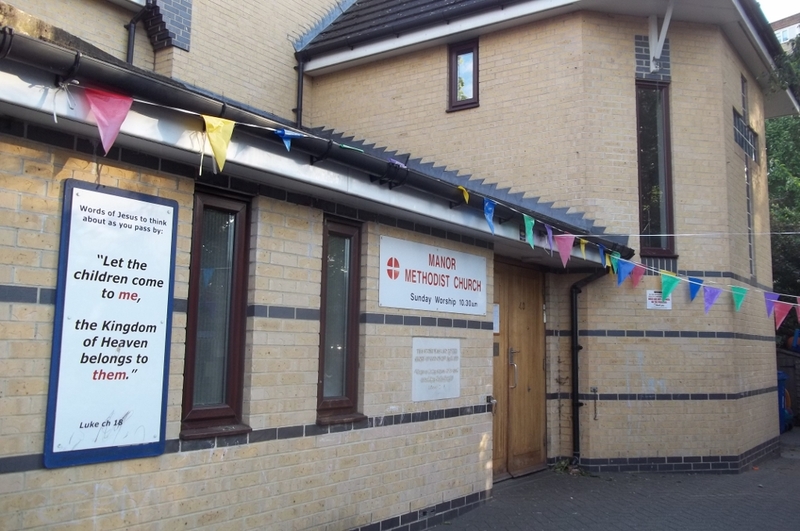 see working class church leaders raised up who will take the good news of Jesus to their own. Paul (right) thrives on the challenge and excitement of living in the centre of London. He has known God’s provision and protection many times as he and his wife Denise have faced the challenges of bringing up a family of five children in the inner city. 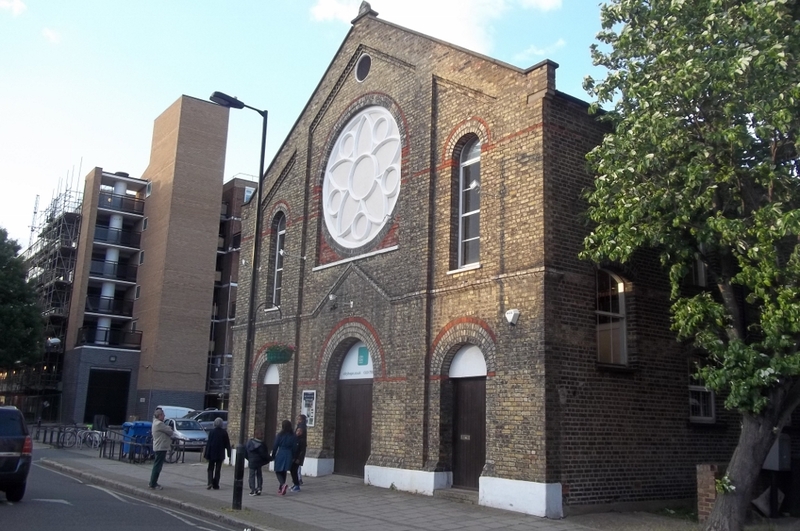 To St Anne's for this morning's communion service and the second sermon in a three part series on the flood, from Genesis 6-9. God's lifeboat, or Noah's Ark as it is better known, was the subject of today's sermon from Genesis 8. 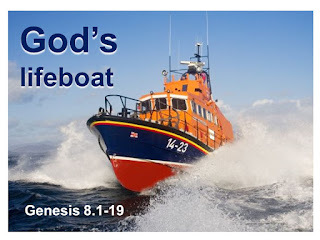 If the flood was the ultimate sign of God's judgment on a world that had gone badly wrong, the lifeboat (a.ka. The Ark) was the ultimate sign of his saving mercy. Fast forward to the New Testament and there is a new Lifeboat - Jesus Christ himself. As with the first Ark, you have to make sure you have climbed on board if you want to be saved. And you do that by believing and trusting in Christ as your saviour and your Lord. 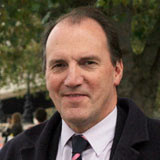 Sir Simon Hughes has told Premier Christian Radio how his faith has been key to him coming to terms with electoral defeat. To the Barbican Centre in the City of London for the annual Evangelical Ministry Assembly. 1300 ministers for three days gathering to sing, hear speakers from across the world, and to be encouraged in the daily task of sharing God's life-giving word in churches up and down the country - and across the world. I've been attending the EMA since 1990. It's moved locations several times as numbers have grown. It's a great opportunity to meet old friends, brush up on your preaching skills, and have the opportunity to learn from masters of the craft. 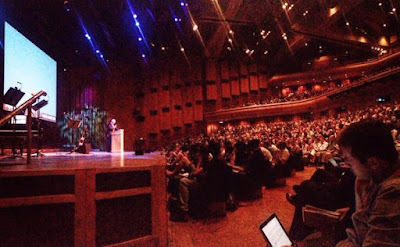 Highlights this year included the talks from Tim Keller, of Redeemer Presbyterian Church in New York. Tim has an amazing grasp on (1) the Bible and (2) modern culture. He has a wonderful ability to connect the age old truths of Scripture with the lives of city dwellers in the 21st century. There were five of us there from Bermondsey (at my count) - an easy trip for us on the tube - and we have come back suitably refreshed and renewed. 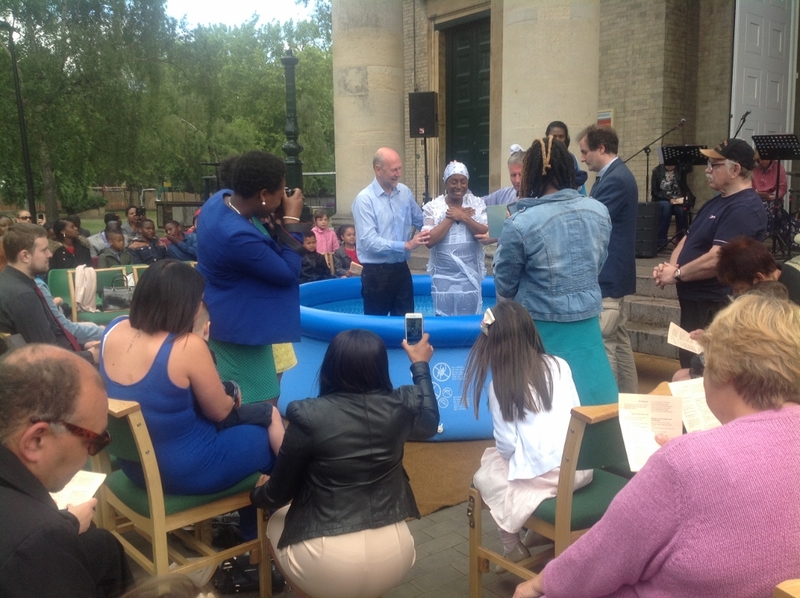 The sun was shining, the pool was full, and we were ready for this year's outdoor baptism service in St James's Churchyard. St James, St Anne's and Rhema Church met together for this great outdoor celebration where little Evie; her mum, Carla; Susan; and Vanessa were all baptised. 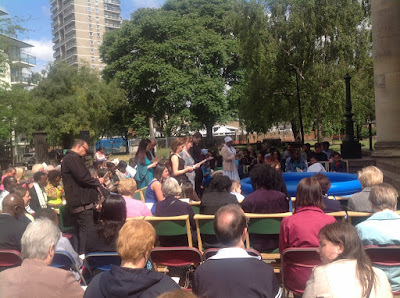 Musicians from St James and St Anne's led the singing (including the now traditional extra verse to 'we are marching in the light of God:' 'we are serving God in Bermondsey'), and we were treated to two extra musical contributions from the highly talented Rhema youth choir. 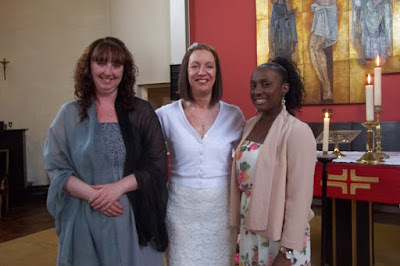 Then in the evening at St Philip's, Avondale Square, Carla, Susan, and Vanessa were confirmed by Bishop Michael at the Bermondsey Deanery confirmation service, the conlusion of a great and joyful day. 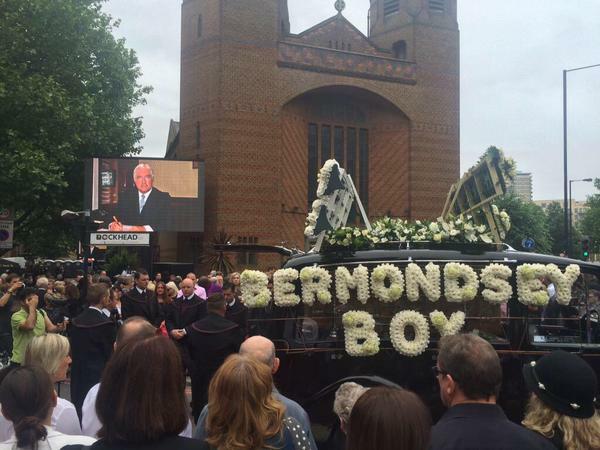 Through the streets of Bermondsey it came, Barry's sixteen car cortege bringing Mr Bermondsey to his final resting place in the Albin Memorial Garden. On the way it stopped outside Barry's home in Rotherhithe, outside Albin's old office in Old Jamaica Rd, at the Blue for a special act of commemoration attended by hundreds, past St James's School where he was chair of governors for many years, finally arriving at Holy Trinity, Dockhead where the funeral service itself took place in a packed church with hundreds watching from outside on large screens. As the cortege made its way through the streets, St James bellringers rang a half muffled quarter peal in Barry's honour. At Dockhead, Barry's close friend and parish priest, Fr Alan, led the service beautifully; his sons, Jon and Simon, delivered the most wonderful heartfelt tributes to their father; Sir Mark Thatcher read the lesson; and a message of condolence was read from the Queen on the death of Barry Albin-Dyer, the Deputy Lord Lieutenant of Greater London, which drew applause from the congregation. Later came a private burial and refreshments for invited guests in a marquee in Southwark Park. 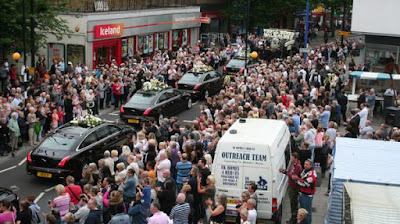 It was an extraordinary day for an extraordinary man, for big-hearted Barry who won the hearts of a whole community through his kindness and generosity. Thanks to the wonderful Dockland Ringers who faithfully ring St James's bells every Sunday, this group of year 6 leavers (left) from St James's Primary School are learning to ring the church bells in time for the School Leavers Service on Friday 17th July in St James's Church. If all the technology works out we hope to have a live webcam in the bellchamber so that the children below in the church can see what is going on. Wonderful news. In her birthday honours list it is announced today that Her Majesty the Queen is to knight Simon Hughes for public and political service. 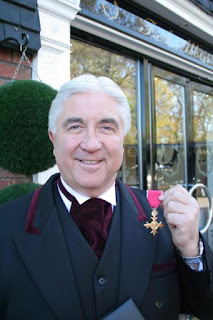 This is a richly deserved reward for the man who has served the people of Bermondsey so faithfully and with such dedication for so long. 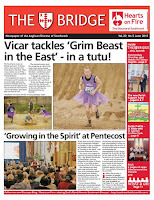 Warm congratulations to you, Simon, from your church family of St James and St Anne's. Whilst all that has been going on here at St James we have had the latest of our Men's Breakfasts. 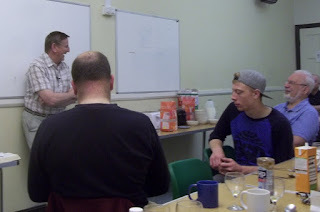 As usual, a full cooked breakfast, great company, and an excellent talk by Mike (right) a retired vicar who has perhaps more than his fair share of the kind of difficulties that life can throw at you. 'Where is God when the bad things happen?' was the theme of this morning's talk which had the men enthralled. It wasn't so much that Mike had all the answers to those 'whys? which we ask when things go wrong, but just that he had found that God had been with him through it all, and had brought him through it. To Holy Trinity, Rotherhithe for a very encouraging, mission focussed, outward looking meeting of the Deanery Synod (the seven Anglican parishes of Bermondsey & Rotherhithe). We began in the church for prayer. 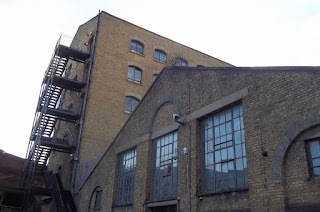 The old building was one of the first to be destroyed in the Blitz. 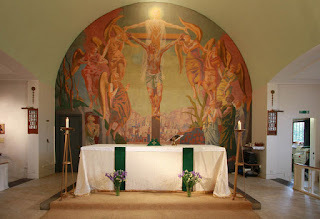 The new building that replaced it in 1957 includes the beautiful mural by Hans Feibusch, a German Jew who sought refuge in Britain during the thirties, and later converted to Christianity. 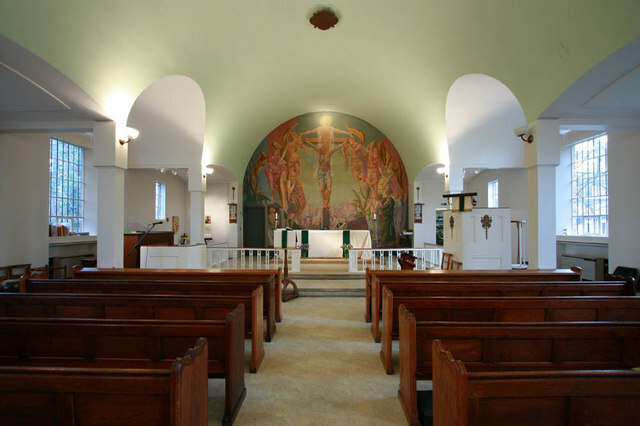 After the war he was employed in designing works of art for more than 30 churches, many replacing those destroyed in the war. Feibusch's crucifixion scene for Rotherhithe includes two notable features :the characters standing round the cross are said to be modelled on dockers who worked in the nearby Surrey Docks and behind the crucified Christ, stands the risen Lord. In this way Feibusch's mural becomes a message of hope: of death followed by resurrection. In the context of his life, and in the context of what had happened to the first Holy Trinity Church, that was a powerful statement. 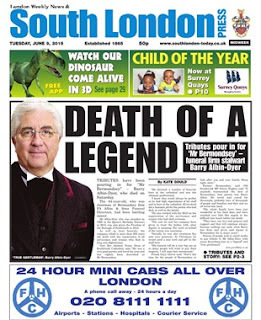 There are some lovely tributes to Barry in today's South London Press and the Albins website has published details of the funeral which is take place on Saturday 20th June. Barry, who died today, was the friend and supporter of a whole community, active in countless causes and charities, loved and known far and wide. In the short time I have lived here I have come to appreciate the extraordinary contribution that Barry has made to Bermondsey, and I personally have valued his kindness and friendship more than I can say. 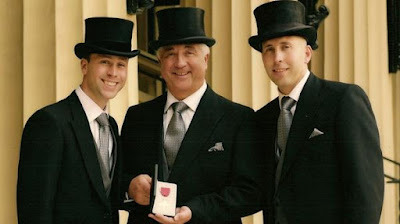 To Jackie, Simon, Jon and their families go our heartfelt condolences today. 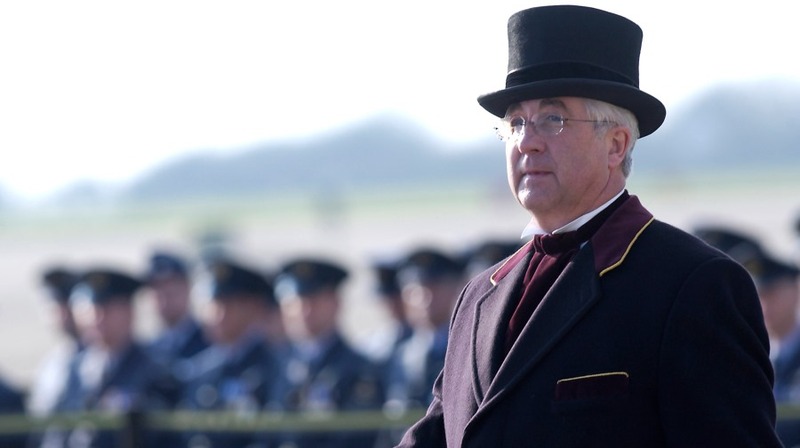 It was the compassionate kindness of Barry himself, that great warmth and empathy he had, that set the tone for the way everyone at Albins dealt with the families who came to them in their hour of need. 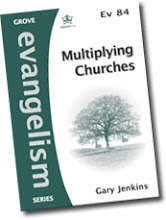 There is a passage in John's Gospel (chapter 14.1-6) that Barry particularly liked. He liked it because it talked about the after-life, the life of the world to come, in a down-to-earth, straightforward way that anyone could understand. 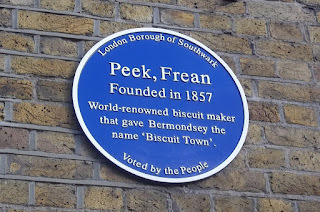 Today Mr Bermondsey has arrived at the Father's house. He is safe there - forever. 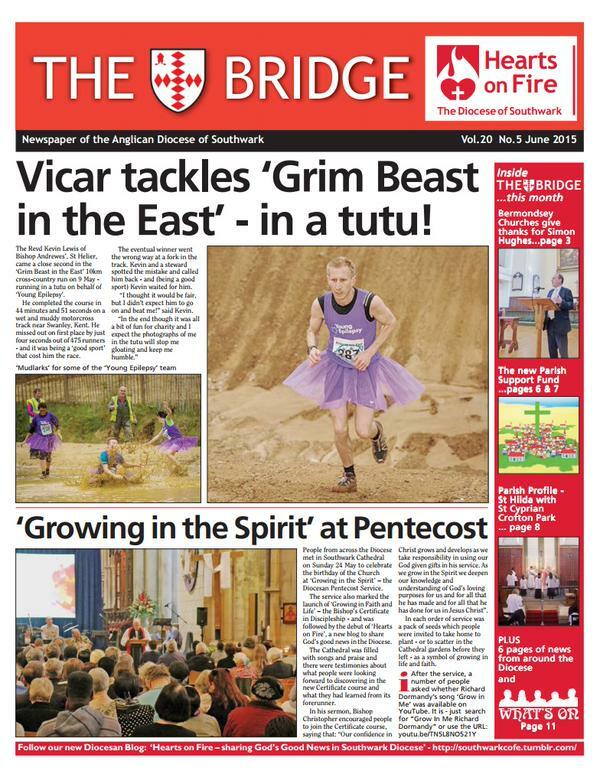 This month's edition of the Southwark diocesan newspaper, The Bridge, features an article about the service of thankgiving and rededication for Simon Hughes held at St James. You can read it here. Go to page 3. The sun came out just in time to prevent what we had billed as our parish 'Summer Evening Walk' being an offence under the Trades Description Act. 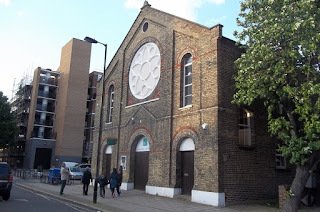 As it was we had a great time visiting Bermondsey old and new in the united benefice of St James and St Anne. including the police station that featured each night at the end of Dixon of Dock Green, and the Peak Frean's biscuit factory that gave the world the Custard Cream and the Garibaldi biscuit, and stopped at several points to pray - for the churches, the schools, and the people of our community. 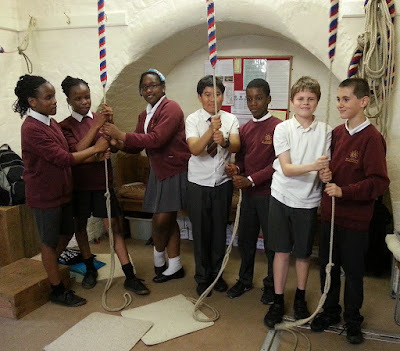 Starting at St Anne's and ending at St James for refreshments, it was a great evening. 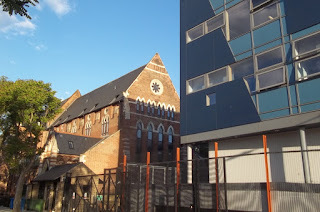 Not another block of luxury flats, but a set of 21st century almhouses is the vision of the United St Saviour's Charity for the derelict nursing home on the corner of Southwark Park Road and Reverdy Road. 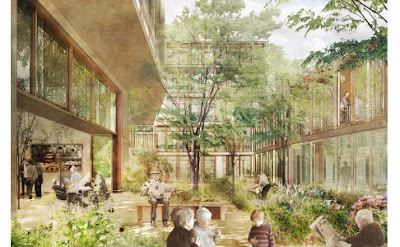 They are seeking the views of local residents here. With its location on bus routes, close to the Blue, and just across the road from Age Concern's Healthy Living Centre, this is a wonderful site to use to provide low cost, high quality, housing for the older folks of the locality. 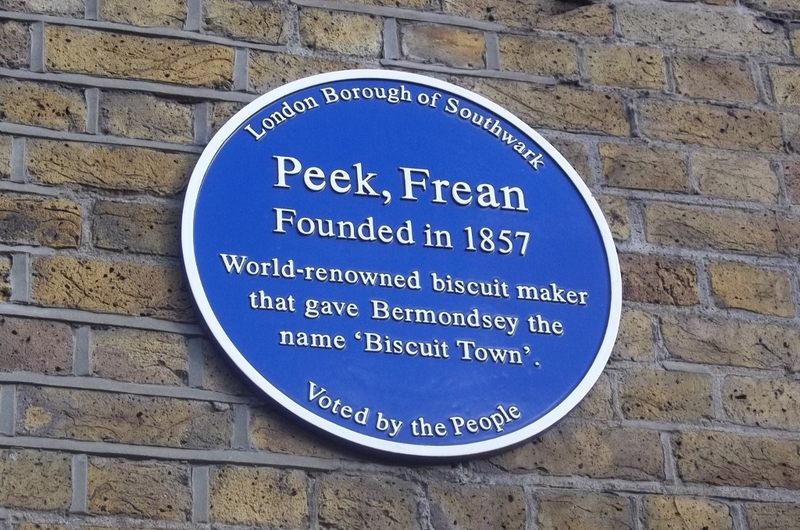 A piece of really good news for Bermondsey. 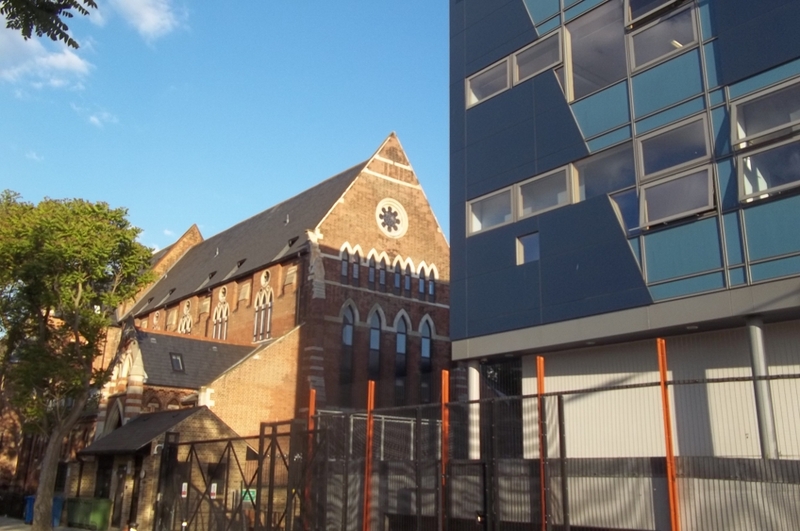 Well done to the trustees of the United St Saviour's Charity for this imaginative reworking of an old idea. The new almshouses will look quite a bit different (the two pictures, taken from their site, give an artist's impression) from the other ones owned by United St Saviour's - they were built in the eighteenth century, but the idea is the same.